I love decorating for the different seasons around the house! 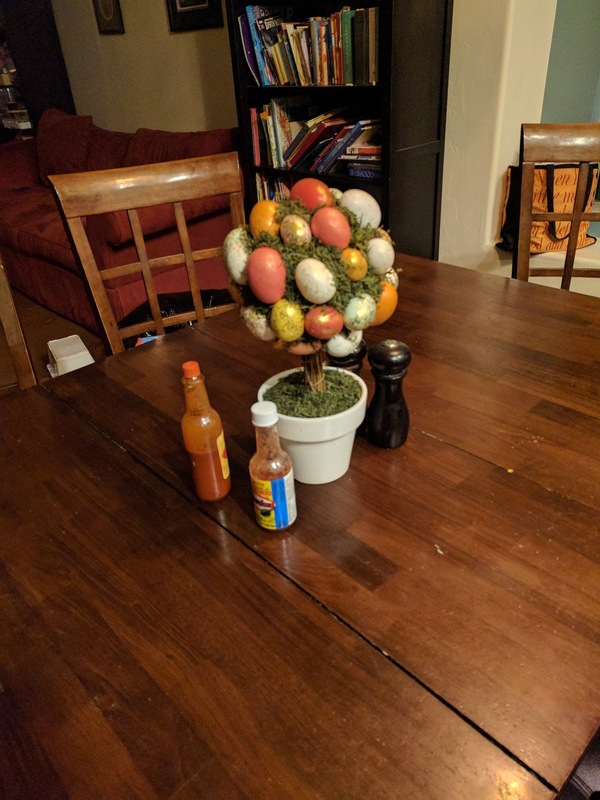 I didn't do it on Kwaj, mainly because I didn't have the storage space for the decorations, and it was something that I was super-excited about doing once we moved back to the States. 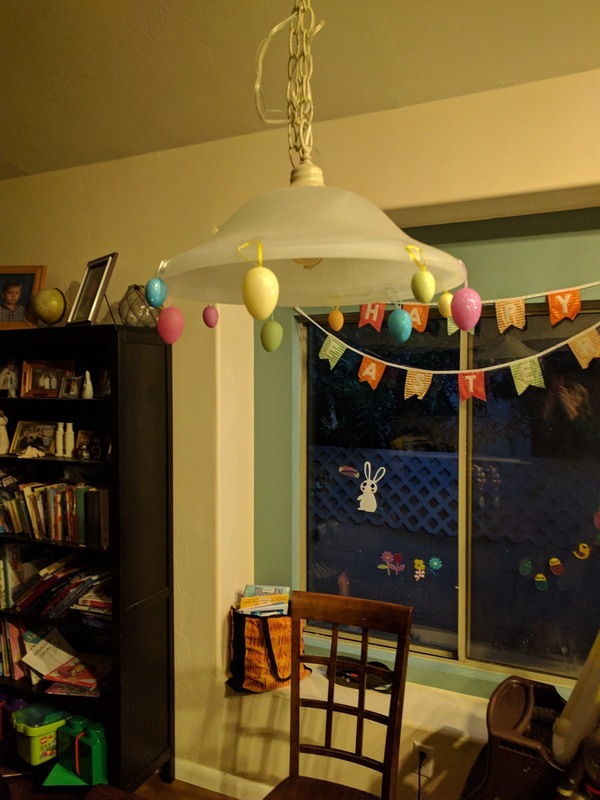 I kept the decorations pretty simple, in part because we want to focus our Easter celebration on Jesus' resurrection rather than a bunny and candy. 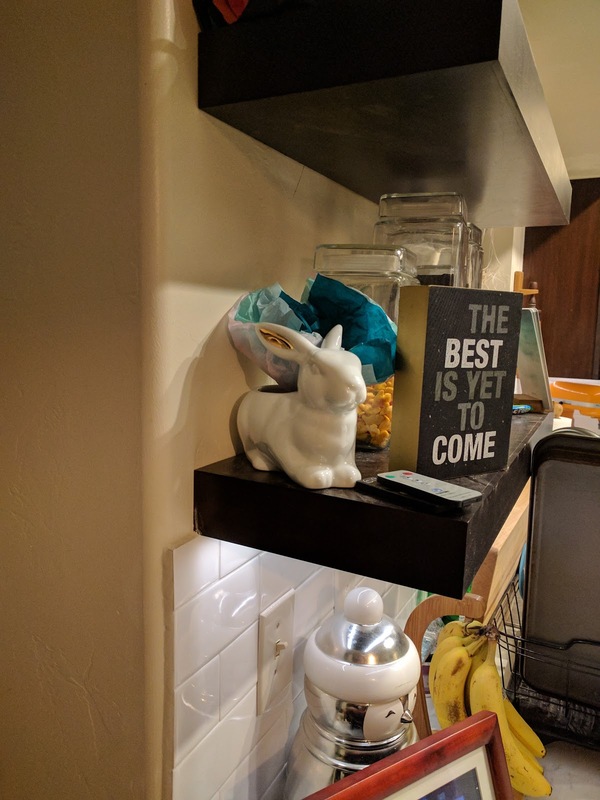 Speaking of bunnies and candy, this little guy is on my floating shelves and is currently empty of candy. Somebody (cough, cough, not naming names) couldn't stop eating all the jelly beans. I'll refill it again soon but maybe with something healthy since I can't keep my hand out of it. and I hung glittery eggs from the light above the table. 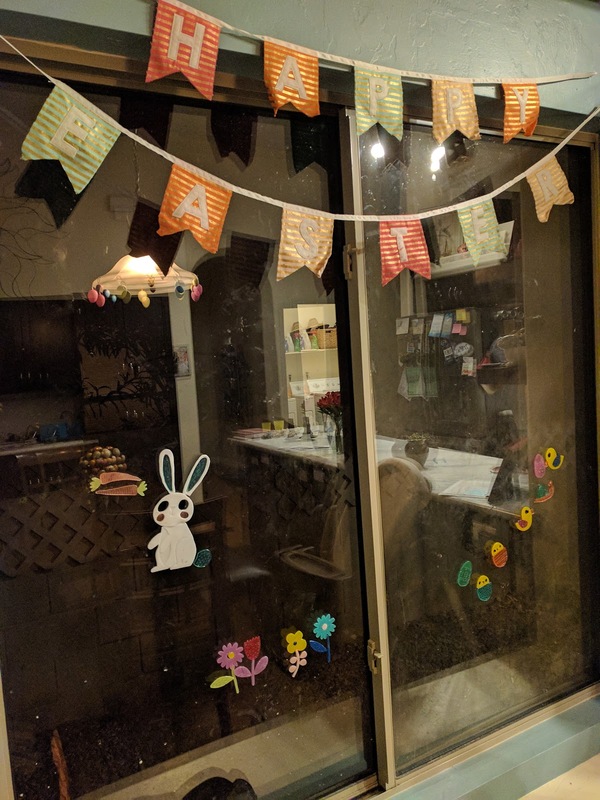 My dining room window has a Happy Easter banner and bunny and chick gel clings for the kids to play with. Like I said, simple. Part of me wants to do more but the simplicity of these decorations appeals to me as well. Have you decorated for Easter? Do you go all out or just put up a few things?